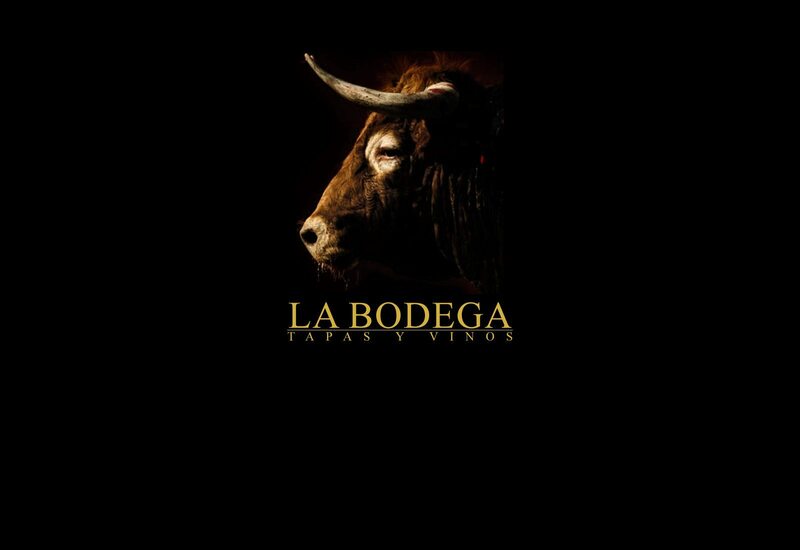 experience the real taste of Spanish and Mediterranean Tapas, good wines and the warmest of welcomes at La Bodega. 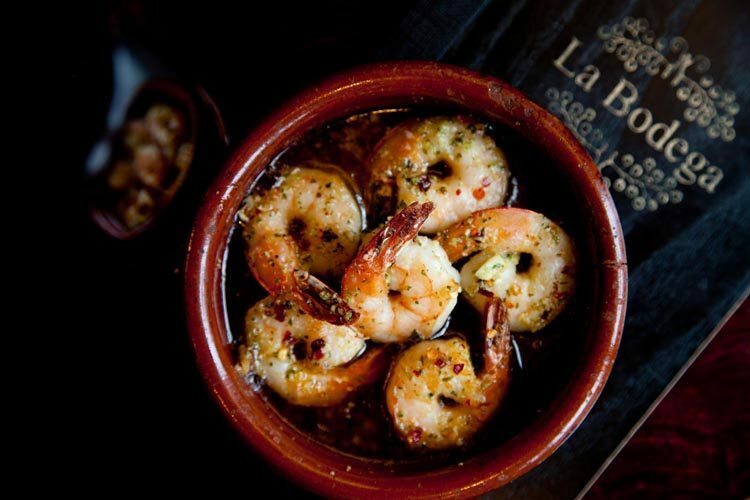 There are many legends about the origin of Tapas as a style of cuisine. 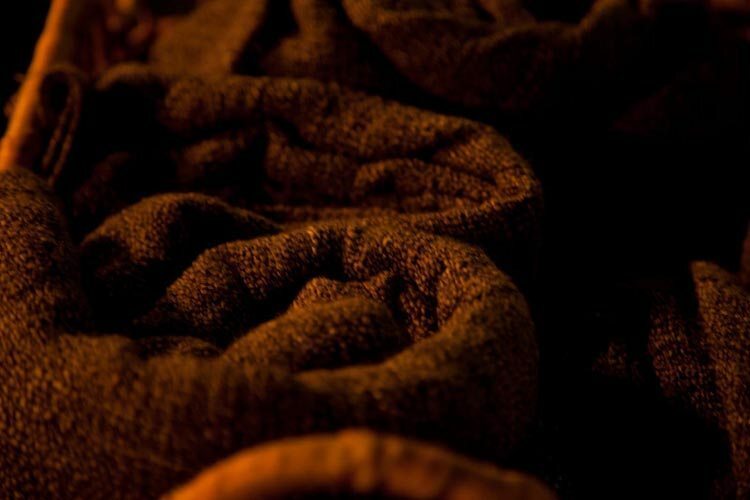 Some say an ailing King Alphonso enjoyed the small bites of food with wine and it became a tradition passed down from the royal court. 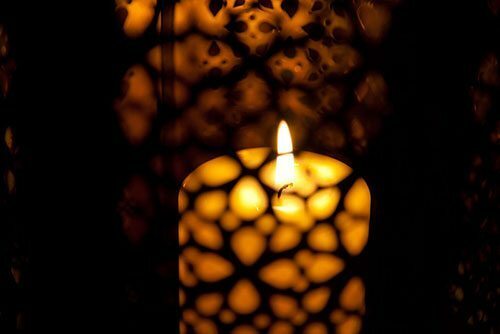 Others say that the first Tapas were used to cover a glass of wine in Andalusian taverns. 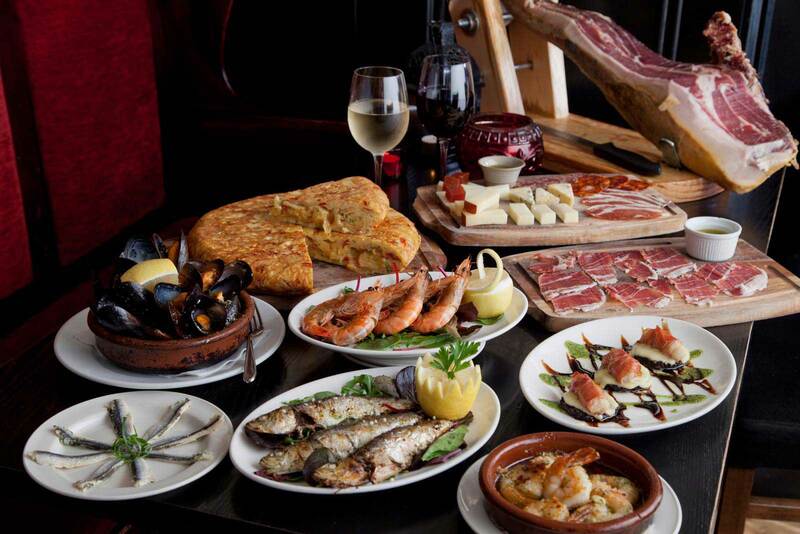 Whichever are true, Tapas is now a world renowned cultural pastime and nothing is as wonderful as the matching of small tasty dishes, fine wines and good company. 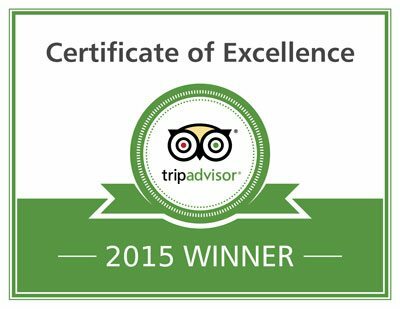 Now add to this the warmest of welcomes as you join us at La Bodega. Why not start with some lights bites while you read the menu. Perfect with a glass of wine to get the appetite going. 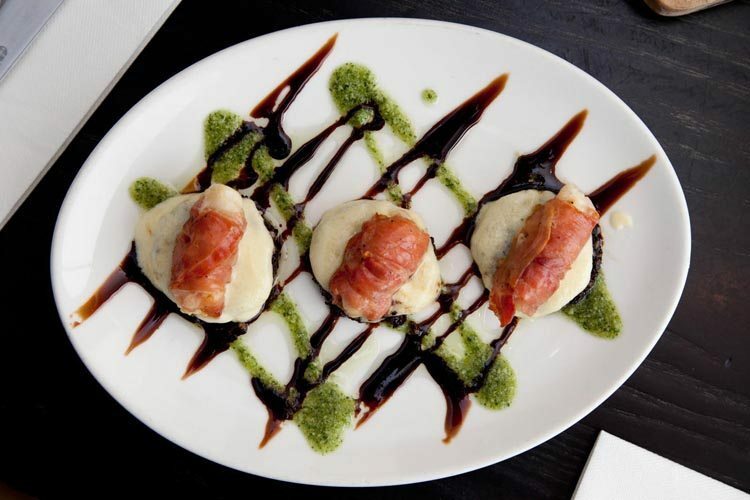 Panfried fresh Scallops wrapped in jamon served on black pudding. *subject to market availability, may contain nuts. Baked rice with chicken, chorizo, pancetta and black pudding. In the northern regions of Rioja, Euskadi, Asturias and Galicia, these dishes are a great one pot feed, keeping you warm in winter and tasty all year round. Toasted Coeliac bread available on request. Mixed cheese platter, Manchego, Fontina, Talleggio, blue cheese. 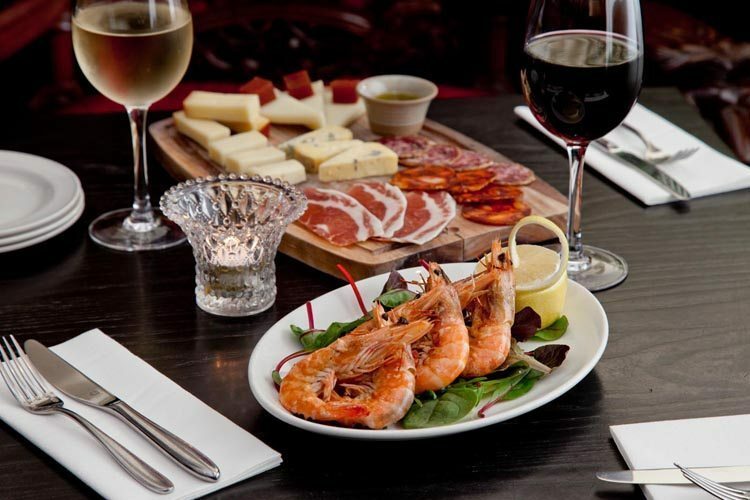 We believe that La Bodega tapas are the best in Dublin; you can view the quality of the tapas dishes and the restaurant interiors and our outdoor dining area in the galleries below. 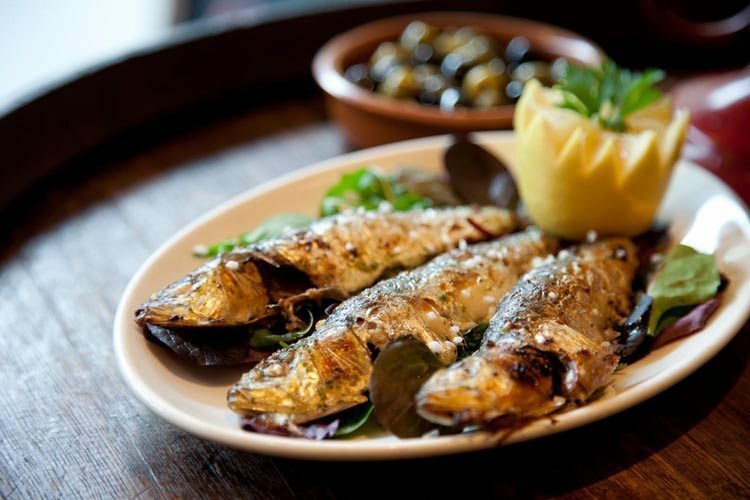 Our traditional Tapas are freshly prepared in house by Spanish chefs to order. Matched with a great selection of wines from our cellar all you need to bring is good company for a truly Iberian experience. We have live Spanish Guitar in La Bodega every Sunday evening from 7pm from the truly brilliant and celebrated Flamenco-Fusion specialists Flamen-Killers. 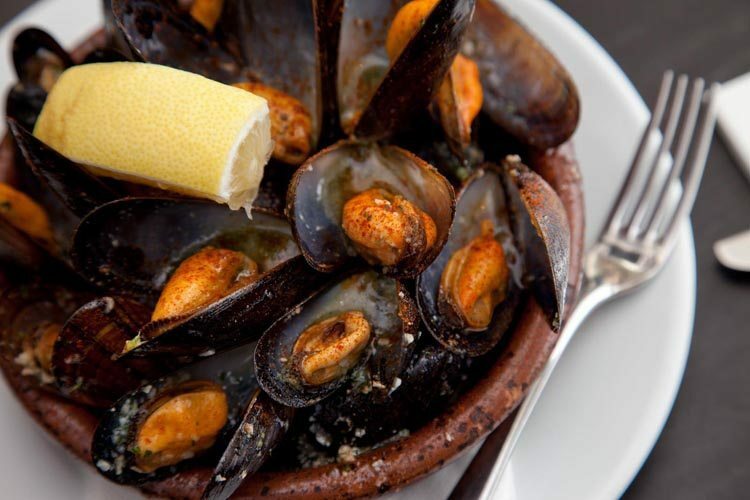 What better way to spend an authentic Iberian evening than the best tapas, wines and Spanish music band in Ireland! 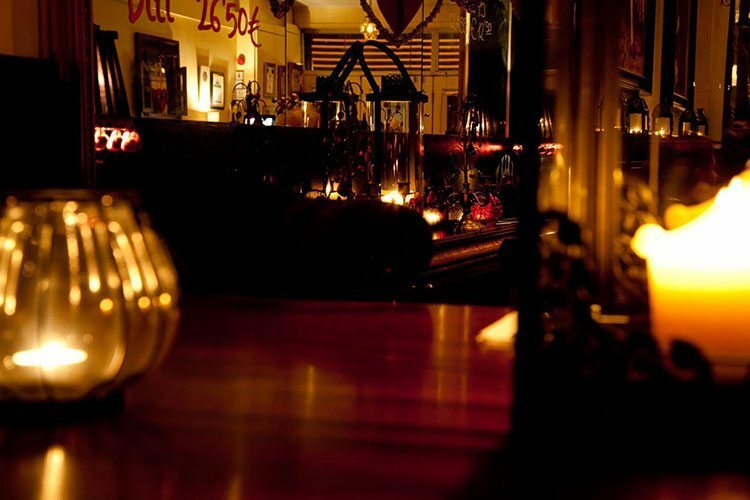 …is a warm and welcoming busy tapas bar located on the main road through Ranelagh village. 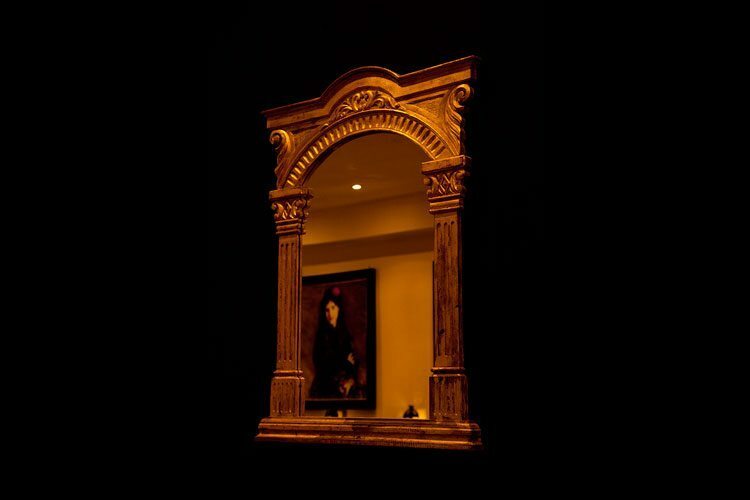 The interiors are inspired by traditional Spanish country design and feature classic art and Moorish lighting. Our outdoor dining space is replete with blankets to evade the chill and mood lighting to enhance any evening be it romantic or a meal with friends. The outdoor area is a great summer party venue for office parties and a work’s do. 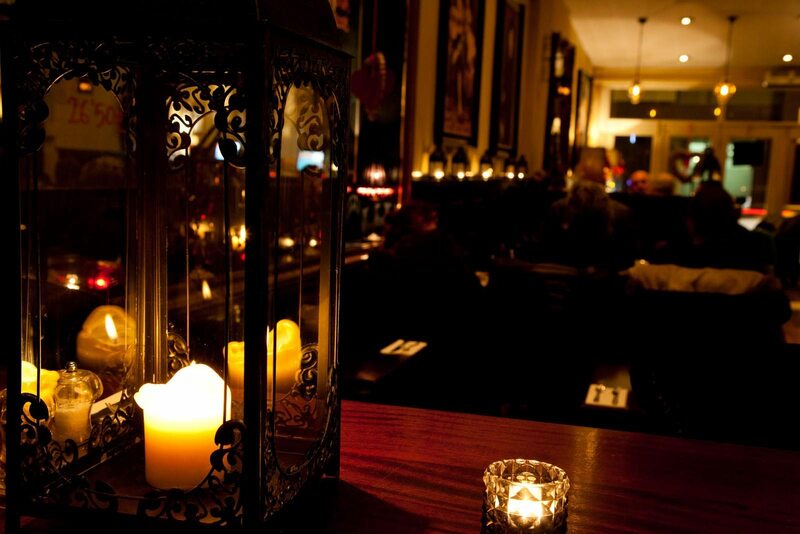 It is available for private hire for corporate or private events on summer evenings with live Flamenco music, just call us on (01) 497 5577. 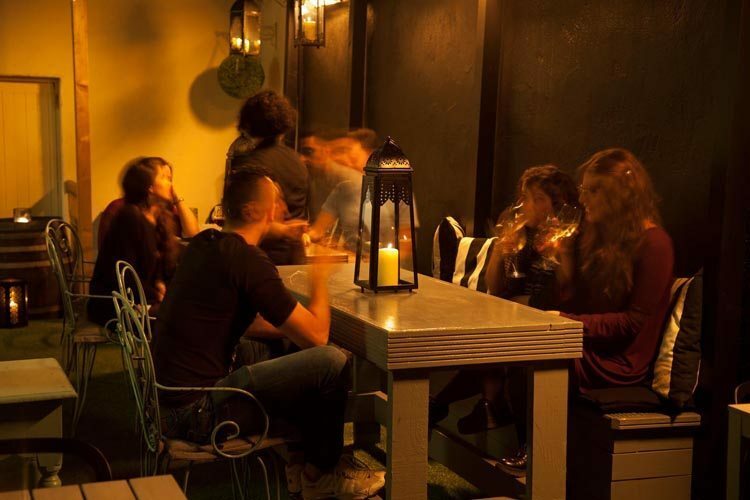 Outdoor dining in Dublin, Ranelagh has a really great place to enjoy the long summer evenings; La Bodega's outside dining area is perfect as a corporate party venue or just quiet drinks with friends under the stars! 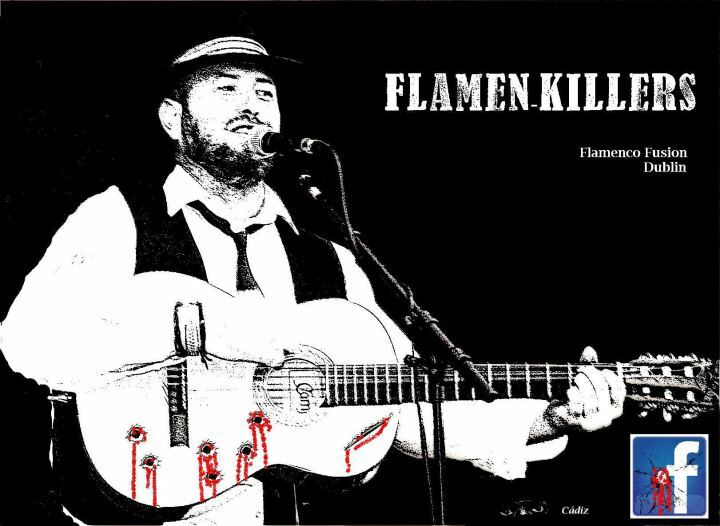 Live Music every Sunday @ La Bodega with the Flamen Killers, Dublin's best Spanish music band! 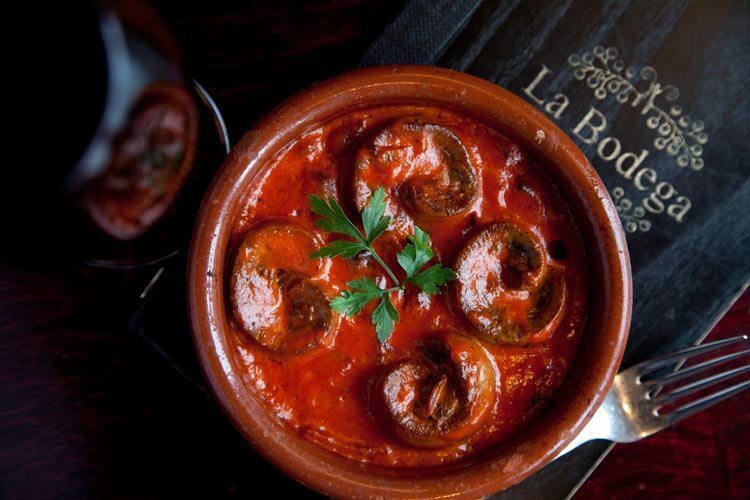 A selection of reviews for La Bodega and our tapas food and wines from well known Irish food critics and bloggers. 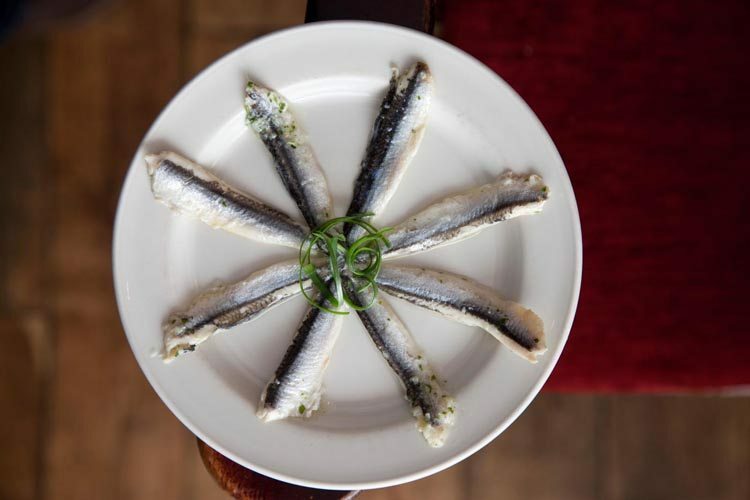 La Bodega is another brick in the wall of excellence that today characterises Ranelagh as one of the most dynamic food destinations in Dublin. Ever since they got the doors of this narrow but cavernous room open in 2010, they have won both customers and critical acclaim with a tapas offering that has been tweaked for Irish tastes – larger servings rather than small bites – but which otherwise summons the tastes of Iberia with terrific precision and success. 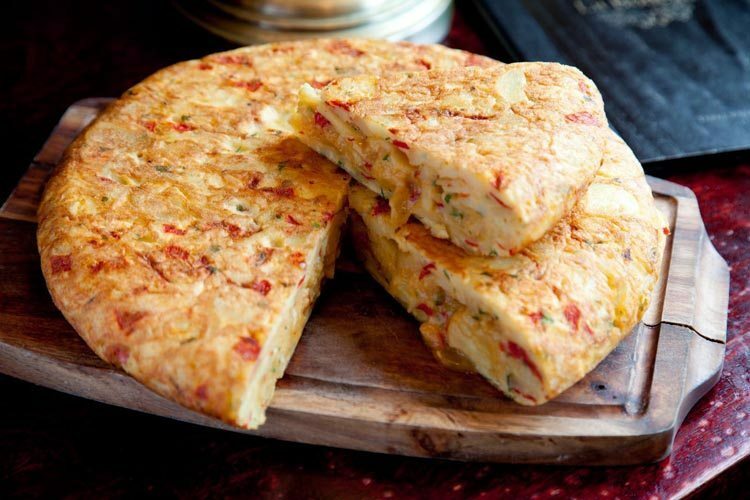 I thought the portion of Spanish omelette was one of the best I’ve eaten; so often it becomes a dry, hard slab of protein, but here it was succulent and full of flavour. For me, it was the best dish of the night. Last, I got around to the lamb’s kidneys cooked with sherry. These, too, made a well-done dish, the kidneys a little undercooked as I like them, and with just enough flavour of sherry coming through. We’ve been to La Bodega several times and while I like the comfortably darkened interior with its mismatched seating, a summer Sunday evening felt more suitable to eating al fresco. 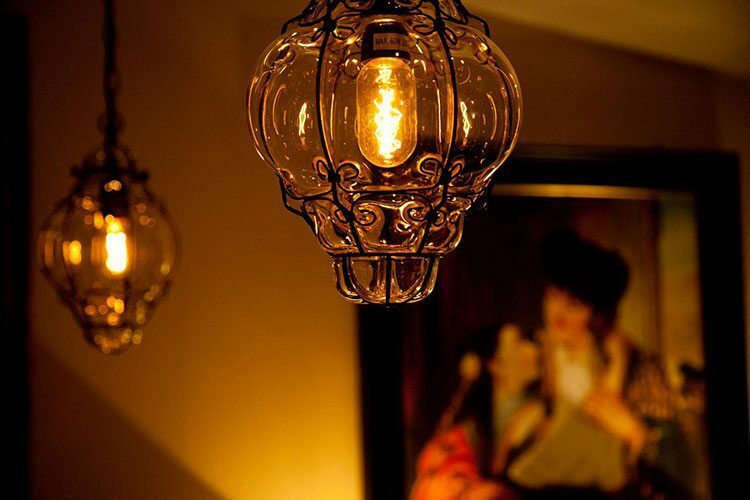 On Sundays, live guitar music fills the dining room, gently wrapping the diners in the magic of Spain. 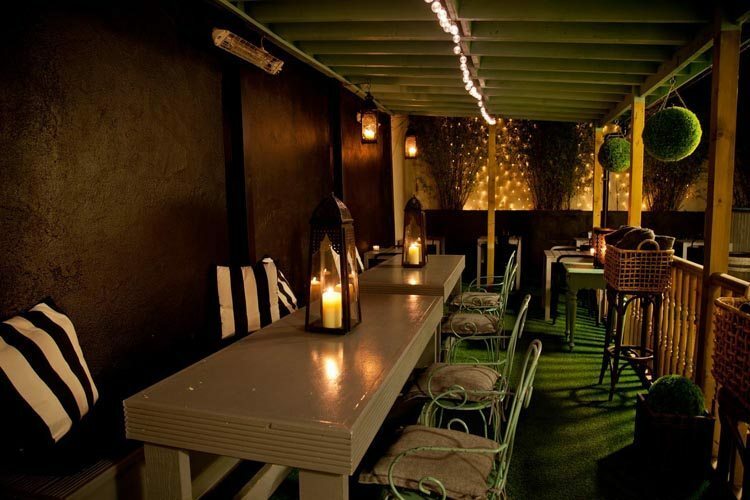 The corridor out to the terrace passes the kitchen area but then opens up in a lovely area with raised decking, faux grass, fairy lights and lanterns. 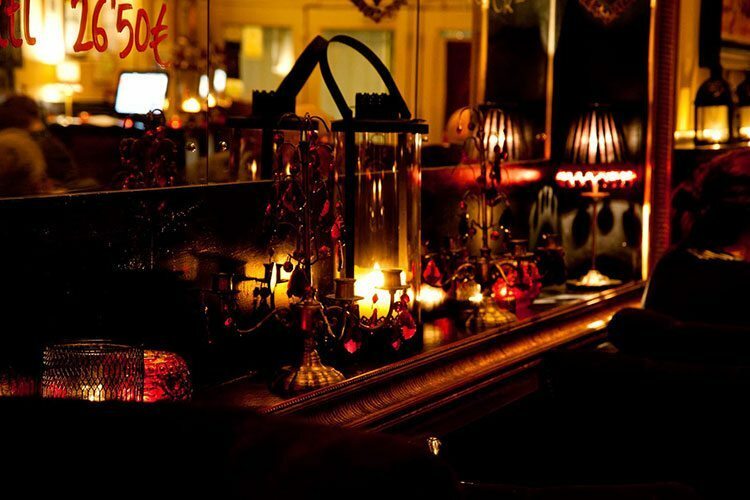 Baskets of rugs are positioned around the space so that diners can wrap themselves up when evenings get too cold. Please find our location map, reservation form and contact details to assist you. 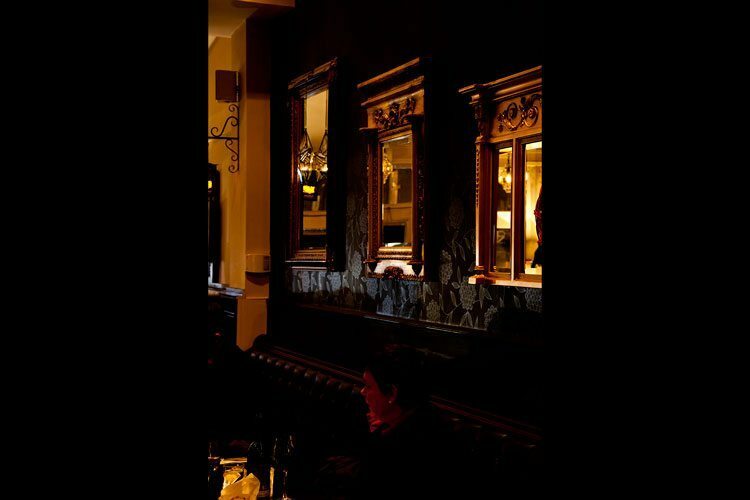 Walk-ins for tables of one or two are always welcome and a walk-in waiting list is operated after 7pm particularly over the weekend: If you want a table for 2 after 7pm, please phone us on +353 (0)1 497 5577. Alternatively you can make a future reservation for groups of three or more using the reservation form. Children are welcome until 7pm. We take reservations for groups of 3 or more and operate a walk-in waiting list for tables after 7pm. If you want a table after 7pm simply call us on the evening around 6.30/45 and we will take your details and call you back when a table comes available around the time you requested.